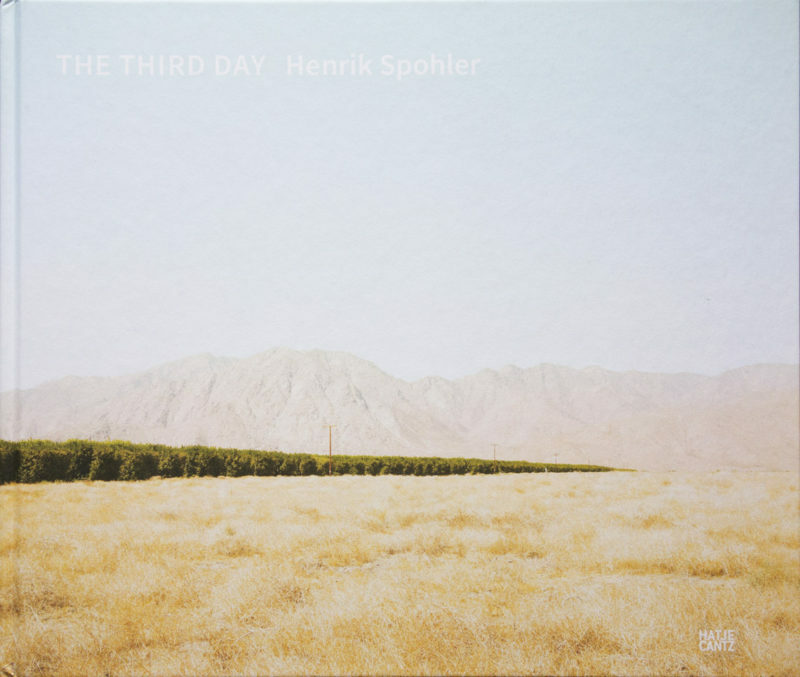 The photographs in Henrik Spohler‘s The Third Day are irritating to the point that you almost don’t want to look at them. This gives us a chance to appreciate what they do and how they do it, in particular since the craze over the Düsseldorf School is now a thing of the past, and we can – I hope – finally move beyond discussions about scale and/or pictures behind plastic to talking about merit, and to seeing German photography for a bit more than what came out of that little town just north of Cologne (Spohler graduated from Essen and teaches photography in Berlin). The book centers on industrialized agriculture: the way most of our food is grown. We are used to being able to buy quality products at – ideally – always low prices, which has quite a few ugly consequences, many of which are in the pictures. Technically speaking, strawberries or shiitaki mushrooms still grow the way they always did. But in any of those industrialized megafarms, this looks very different than in your community vegetable garden. Scale matters, as does industrial convenience. As a result, many megafarms are huge monocultures that have very little, if anything, to do with what one would think of when hearing the word farm. Needless to say, megafarms might produce cheap produce, but they still come at a cost, whether it’s large-scale pollution or strawberries or shiitaki mushrooms that, well, don’t quite taste so great – if, that is, they taste like anything at all. Spohler went out to photographs such farms, plus related industries or research institutions, producing the kinds of deadpan, seemingly disinterested photographs a somewhat superficial observer might expect to come from Germany. But here’s the thing: how else can you show, say, a tomato plantation somewhere in the Netherlands other than setting up your camera, making sure all lines are exactly where they should be, and then producing a picture that makes you never want to eat tomatos again? You really can’t have it both ways, have always low prices and the freshest fruits and vegetables, regardless of season, and, at the same time, not have this kind of zombified form of agriculture. You just can’t. The Third Day toggles between large-scale views and smaller details, the latter providing little comfort themselves. It really doesn’t matter whether you see what looks like a wasteland or a few plants hidden behind copious amount of plastic. You’d imagine that with fruits and vegetables there would be at least some sort of relief in the form of colours. But there isn’t. Spohler’s specific choice of aesthetic at times made me think that what I’m looking at surely must be radioactive. As I said, it’s completely irritating. And that’s an irritation that we will have to bear. It’s an irritation that I’m glad is being brought to us, so that we can see where the stuff that we buy is coming from. It’s not a pretty sight.